ArabSaga: Mount Everest, Saudi pink climbers are coming! 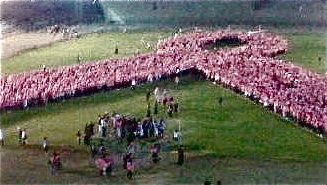 Posters launch "A Women's Journey: Destination Mount Everest, May 7-21, 2012"
October 2010 saw 3,952 Saudi and expatriate women create in Jeddah the world’s largest human pink ribbon to raise breast cancer awareness. By so doing, they set a new Guinness world record. In about five weeks, starting May 7, a lineup of 10 Saudi women will try to scale Mount Everest. It will be yet another campaign to promote awareness of breast cancer, express moral support for women sufferers and underscore the importance of healthier lifestyles and physical fitness. Mount Everest is the earth’s highest mountain, with a peak at 8,848 meters, on the Nepal, Tibet and China borders. All 10 women taking the breast cancer fight to Mount Everest have relatives or friends who fought or are fighting the ailment. The 10 would-be climbers, who will be accompanied by a filming crew, are Jude Al-Aitani, Asma Al-Sharif, Mashael Alhegelan, Mona Shahab, Noura Bouzo, Raha Al-Moharrak, Lina Al-Maeena, Samaher Mously, Hatun Madani and Alya Al-Sa'ad. Breast cancer is the most common cancer among Saudi women and around 8,000 cases are discovered each year of which 50 to 60 percent are diagnosed at a late stage. Despite government efforts, the rate of breast cancer has climbed from 7.6 percent 10 years ago to its current high of 24 percent of all cancer cases. Women over the age of 40 are at high risk and early diagnosis is key for increasing survival chances. Today, more people than ever are trying to climb Mount Everest, but only about one in four will succeed. While not posing great technical climbing challenges on the standard route, Everest dangers are chiefly altitude sickness, weather and wind. 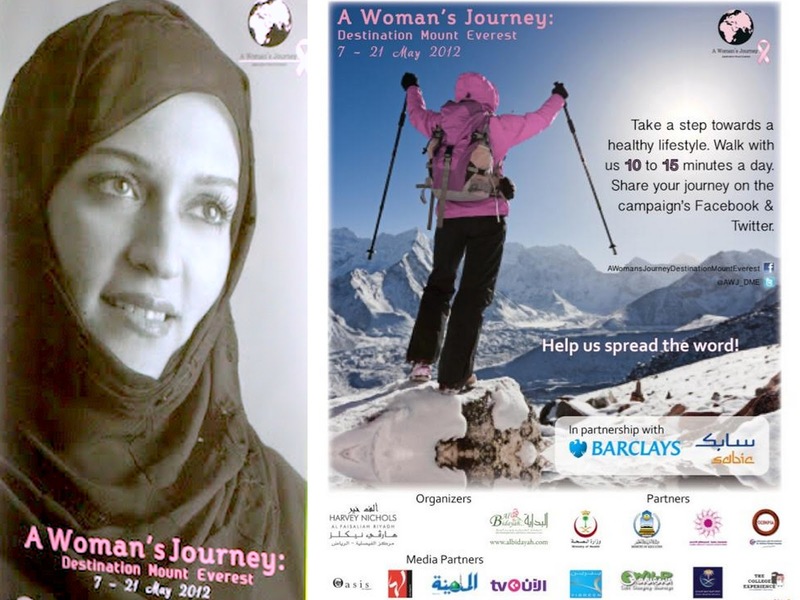 Princess Reema Bint Bandar is the driving force behind “A Woman’s Journey: Destination Mount Everest” May 7-21 campaign in partnership with the Zahra Breast Cancer Association, the Alf Khair and Al-Bidayah Breast-feeding Resource and Women’s Awareness Center. The corporate response to the campaign has been overwhelming. Barclays Saudi Arabia and the Saudi Basic Industries Corporation (SABIC) have taken up the mantle of being the main sponsors. Providing campaign logistics are Yibreen Spa, Dr. Soliman Fakeeh Hospital and Saudi Arabian Airlines. Media partners of the campaign are Laha Magazine, Oasis Magazine, al-Aan TV and al-Madina newspaper. 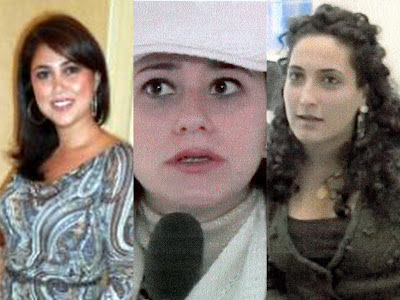 It took thorough online “research” to profile Princess Reema and most members of her team of pink warriors. Princess Reema Bint Bandar Bin Sultan Al Saud is president and CEO of ALFA International and AL HAMA LLC, two leading luxury retail conglomerates, and cofounder of Yibreen, a women's day spa in Riyadh. ALFA International owns the franchise for Harvey Nicols Riyadh, the U.K.-based luxury lifestyle store's first overseas store, which employs Saudi women to be its lead buyers. Yibreen has gone beyond offering health and wellness services to providing women a place to network since its opening in 1999. The spa lately hosted a fashion show where Saudi women designers launched new fashion lines. She is the granddaughter of the late Crown Prince Sultan, who passed away last October. Her father, Prince Bandar, was Saudi Arabia's ambassador in Washington from 1983 to 2005. King Abdullah appointed him Secretary-General of the National Security Council in October 2005. Lina Al-Maeena is the founder and team captain of Jeddah United, the first local sports company in Jeddah. Established in 2006, it aims to promote sports among women and youth within the framework of religion and culture by providing training and sports events. Its vision is to form potential Olympic-standard players to compete in national and international events. For Lina Al Maeena, women's sports are a positive force and should be an integral part of every young woman's life. Samaher Mously is an AUC (American University in Cairo) graduate in Actuarial Science with a minor in Economics and Computer Science. Mona Shahab was in the team of five young Saudi women and men who raised the Saudi flag atop Mount Kilimanjaro in Tanzania last February after successfully scaling the highest mountain in Africa. “And yes we had our date with Mt. Kilimanjaro today at 8:20am. We left camp at 12:30am & made it 2 uhuru peak at 8:20pm,” she tweeted on February 25 from the highest freestanding mountain in the world -- at 5,895 meters. The “Kilimanjaro for Cancer” expedition sought to raise funds to help the Saudi Cancer Foundation (SCF) set up the 1st Early Detection Center in the Eastern Province of Saudi Arabia. Asma Al-Sharif is a Jeddah-based Saudi contributor to Reuters and Arab News and onetime participant in the “Faith in Media” conference in Turkey and the ICFJ (International Center for Journalists) program. Hatun Madani is a UAE-based senior property advisor. Raha Moharrak, a native of Jeddah now based in Dubai, is a graduate in Visual Communication from the American University of Sharjah. 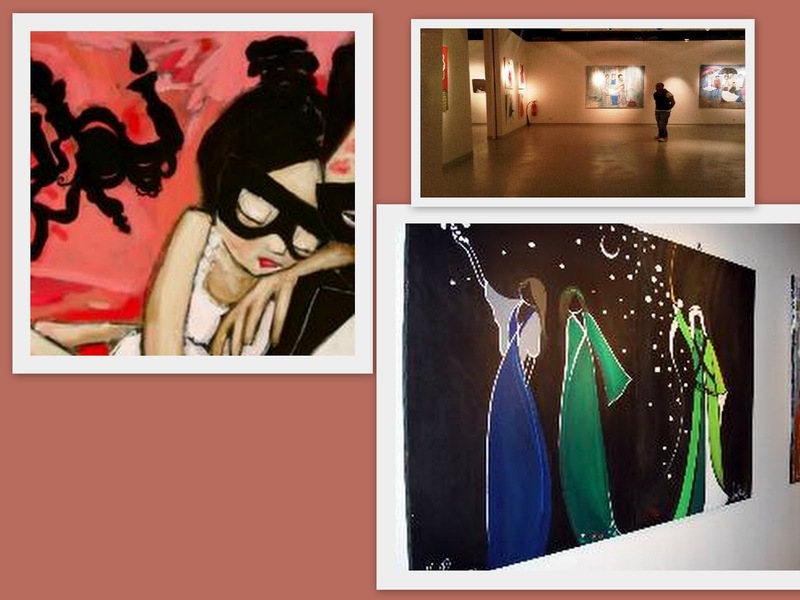 Noura Bouzo is an acclaimed Saudi artist. She is also owner of Art Gallery and co-founder and creative director of Oasis Magazine. Noura studied at the American University of Beirut (AUB), the Lebanese American University (LAU), the University of London’s School of Oriental and African Studies and the University of the Arts London.